Whatever you may think of Christmas, something shifts in the air when December rolls around. In the Northern Hemisphere Christmas ushers in crisp skies and bright winter stars and the smell of freshly cut pine needles. In the South, summer breezes and surfing and swaying palms might welcome the holiday season, the air heavy with the sizzling aroma of BBQs. 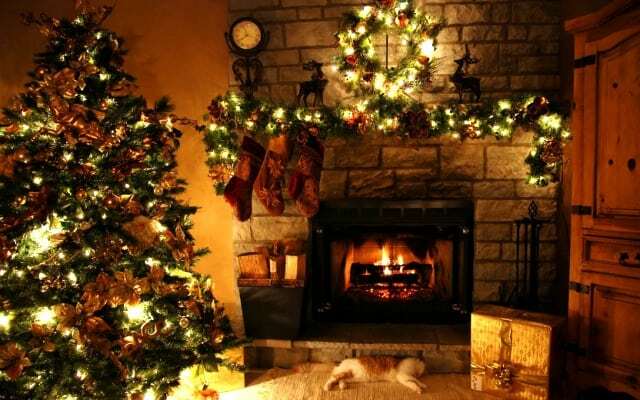 Wherever you live, Christmas is also trees with heavily-weighted branches and houses that heave beneath blinking lights and tons of tinsel. 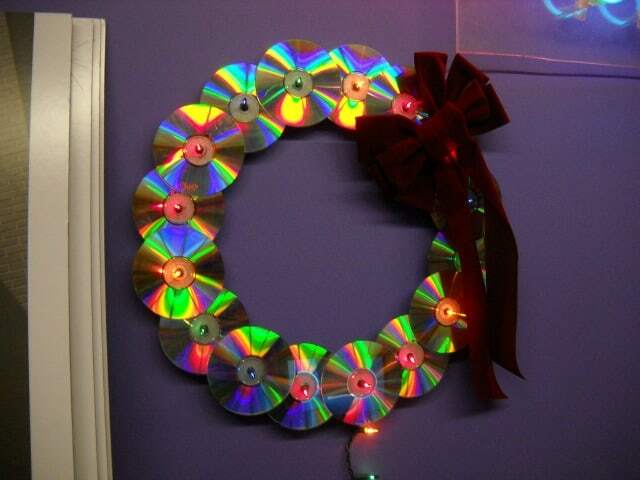 Sadly, this seasonal bling carries a hefty environmental price. 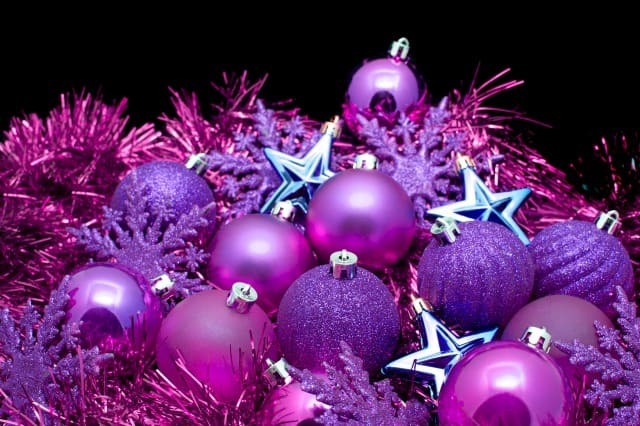 It brings out the old arguments in the Great Christmas Tree Debate – artificial or natural? 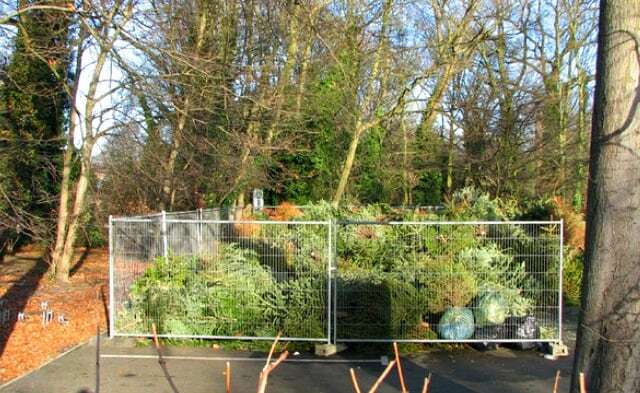 – and a cascade of seasonal information about the impact of the season’s packaging, transport or waste. Christmas also fuels a race for the biggest, best and brightest illumination, as recent as the artificial materials and modern inventions required to make Uncle Harry’s blinking penguin and strobe-light igloo visible from space. 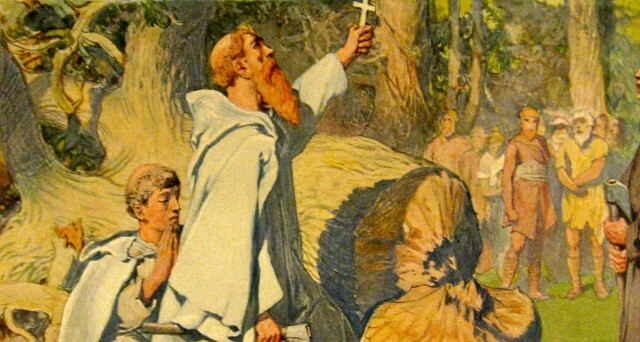 When Saint Boniface struck down an oak to stop a human sacrifice more than 1300 years ago, he blessed the fir tree that rose in its place. He didn’t know it, but Germany’s patron saint was setting in motion a tradition that by the 21st century would be worth billions of dollars: the Christmas tree, and everything that goes with it. In another version of the St Boniface story, the fir tree was a gift to the Germans, a venerated gift because of its triangular shape symbolizing the Holy Trinity. 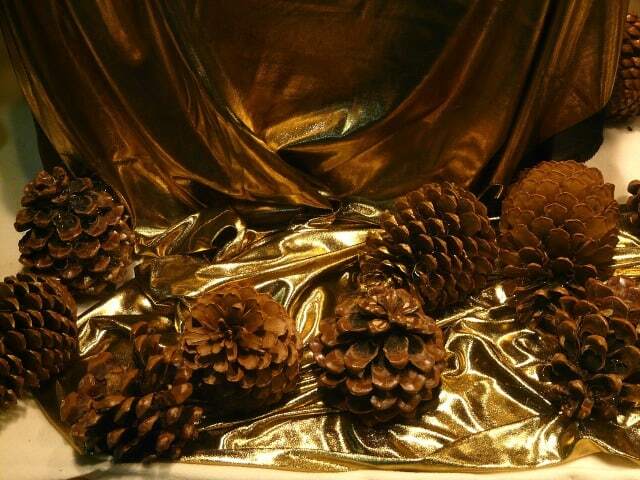 Some historians believe our ornamental traditions reach even further back into time, when our ancient ancestors decorated bushes to please the spirits, bringing the branches inside to keep the deities warm and happy through winter. Another version of history places the first decorated Christmas tree in Latvia more than 500 years ago, when someone wove roses into its branches. A century or so later, a compassionate soul in Strasbourg, France was inspired to bring a tree in from the cold and decorate it with flowers and food. And so the modern Christmas tree may have been born. Tree and spirit beliefs continued into the Middle Ages but as Christianity spread across Europe, the tree and its ornaments began to take on a meaning for Christians. 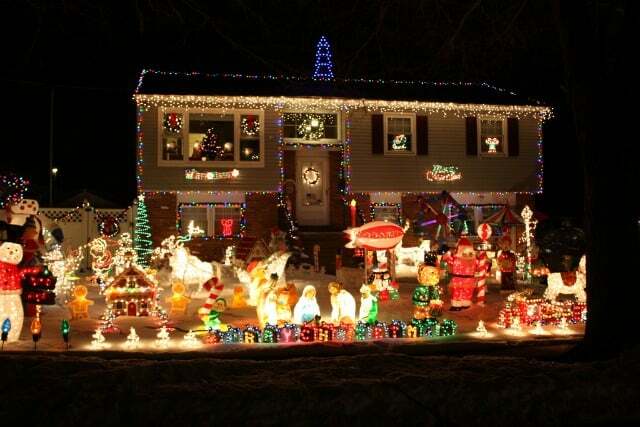 Today, decorating at Christmas is a ritual embraced by millions around the world, whatever their beliefs. Until glass balls. These were the brainchild of glass blowers from Bohemia, now part of the Czech Republic, light transparent orbs decorated by the women of the house who swirled toxic silver nitrate around the insides to make them sparkle. These starry spheres became so wildly popular in Central Europe that by the late 1800s women’s magazines were raving about all this yuletide glitter and shoppers were crowding Christmas markets to purchase a few of these delightful globes. 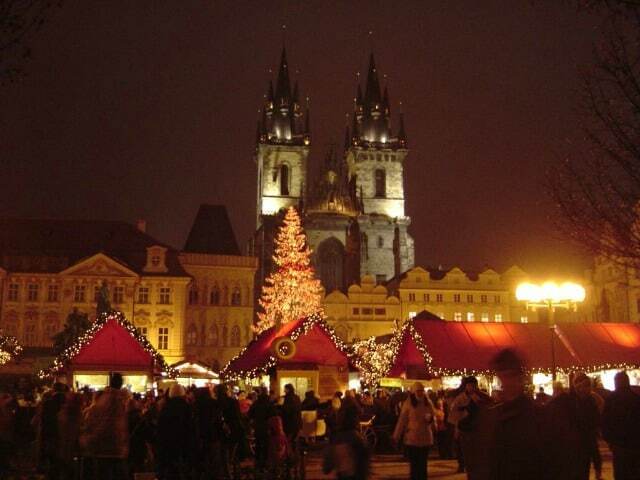 Tree lights, too, find their origins in Europe although as with trees, their history is a bit nebulous. The original lights were made of brightly flickering candles weaving fairy-like shadows around dim rooms. The threat of fire ushered in a special craft of metal candle-holders designed to keep candles steady and prevent wax from dripping. A brief experiment with gas lights was disastrous – the lights kept blowing up until finally, in the 1880s, Thomas Edison (or his assistant, depending on the version) lit up what is believed to be the first string of electric Christmas lights. As post-war discretionary income grew, decorations migrated outdoors, creeping across windowsills and climbing roofs until some houses became virtually invisible when their owners, relatively normal the rest of the year, adopted a competitive spirit in trying to outdo every other display on the block. Today, those who celebrate Christmas have a routine that usually involves buying and decorating the tree, choosing presents, writing cards, and sometimes positioning giant reindeers in a conspicuous effort to block out Uncle Harry’s eye-catching penguin. That routine has turned Christmas into the planet’s least environmentally friendly holiday. In North America alone, you can expect 350 million people to traipse to the mall in search of gifts, many of them imported and transported, packaged in plastic or styrofoam. They’ll buy wrapping paper, Christmas cards and plenty of ornaments. According to the Christian Science Monitor, Americans generate an extra 5 million tons of waste between Thanksgiving and New Year’s Day. It’s no better across the ocean. BBC News says Britons throw out more than 125,000 tons of plastic packaging and 4,200 tons of foil during Christmas, generating an extra 3 million tons of waste during the holiday season. 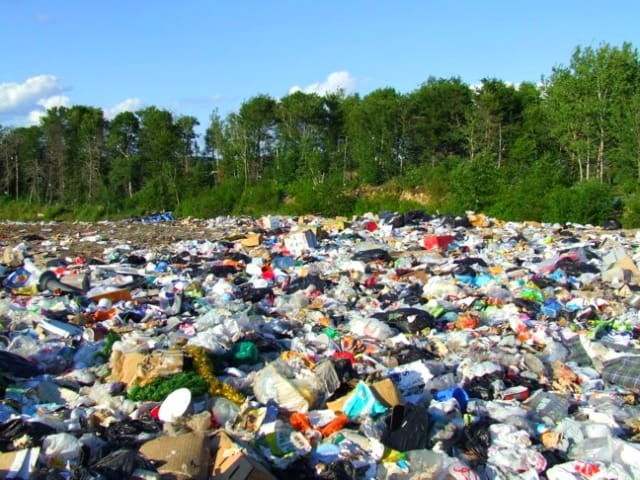 All this waste ends up in landfills, generating methane emissions that send harmful greenhouse gases into the atmosphere. Yet Christmas is also a time of magic, a doorway to a fairyland filled with stardust and glitter – and it is this side of Christmas many of us don’t want to give up, despite its environmental price tag. 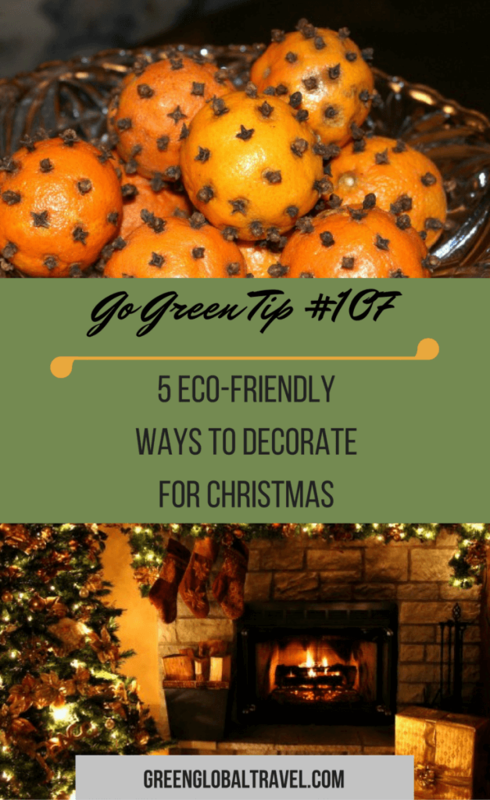 Below are some Green Christmas gestures that can help mitigate the damage done by all that excess energy and non-biodegradable waste, enabling us to destroy the environment just a little bit less around Christmas. As the saying goes, every grain of sand makes a difference. Without turning Christmas into a bore or a misery, you can make a difference too. Re-using wrapping paper is increasingly common. 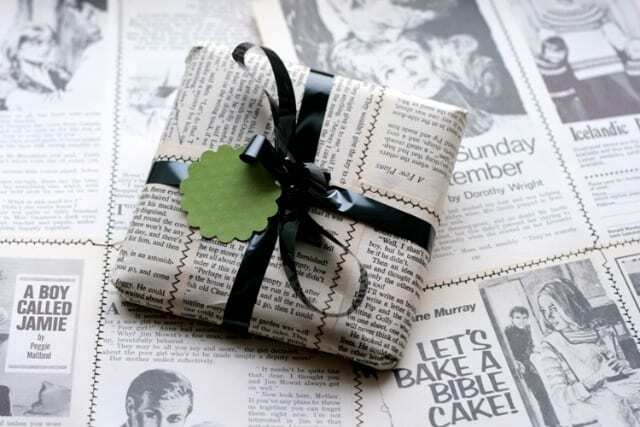 Be a bit inventive and wrap your gifts with old maps – for the traveler in your life – or with newspapers, for your family newshound. According to one calculation, if every family in the US wrapped a mere three gifts in last year’s paper, they would save enough paper to cover 45,000 football fields (each field is 6,400 square yards, or 5,400 square meters). Admittedly wrapping paper tends to be made from farmed softwoods rather than from the more endangered hardwoods, but the manufacturing process is hugely resource-hungry, whatever the source of wood. Or ditch the gift wrap altogether and substitute something more fun, like an empty tin or a piece of bright silk or cotton or hemp tied into a knot; you can always re-use a shimmering piece of colored cloth. If you must buy paper, at least make sure it’s recycled. 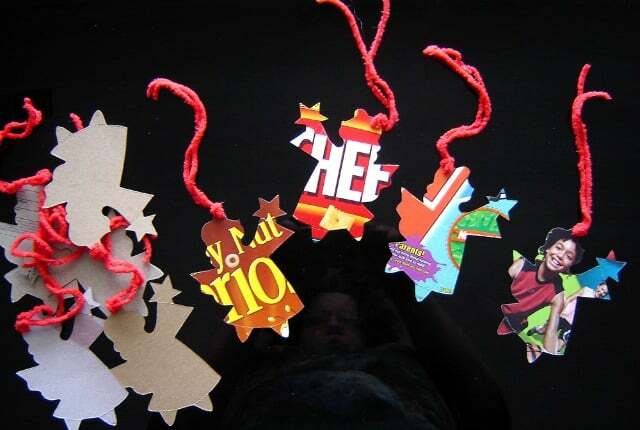 To decorate your tree, release your inner child and make paper chains instead of tinsel by cutting little strips of paper and gluing each end. All those back issues of Vanity Fair? 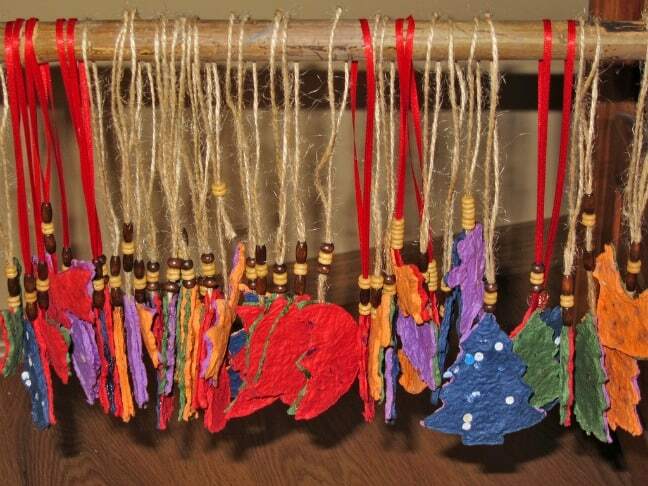 Turn them into a garland. Such an expensive subscription shouldn’t be wasted. Turn your wrapping paper into creative origami decorations, or use what’s around you: hang walnuts with a thread, or spike an orange with cloves, glue some ribbon around it and hang it from your tree. Christmas wouldn’t be Christmas without food so bake some unusual cookie shapes, add a bit of candy or frosting, and hang them on the tree. Remember to make a hole before baking or the cookie will crumble when you try to pierce it. However much you may hate anything second-hand, many people don’t. By selling or giving away things you don’t like or need, they’ll have a second chance before ending up in a landfill, sitting for generations, unable to decompose. 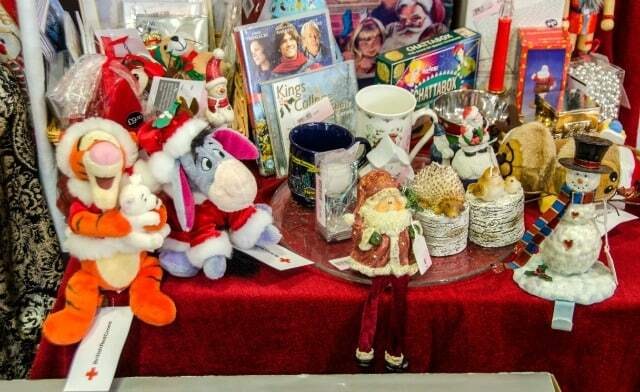 Why not host a ‘tupperware-type’ party right after Christmas and exchange your decorations with friends? Next year you’ll have something new, your friends will too, and you’ll save money while being more gentle with the planet. 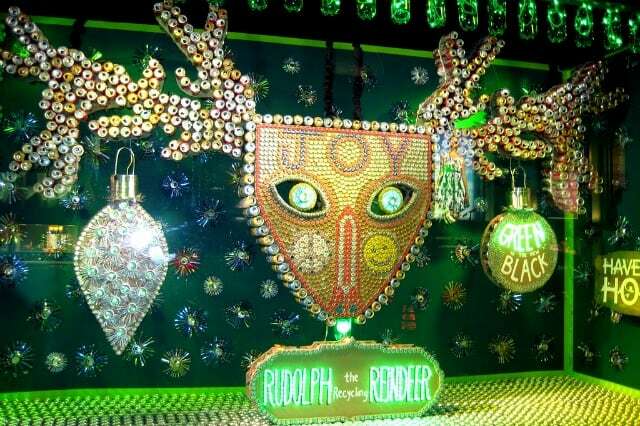 Let’s not forget that the Christmas decoration business is worth more than $20 billion a year in the US alone. As for that pink garden flamingo, just give it away. Someone is bound to adopt it. 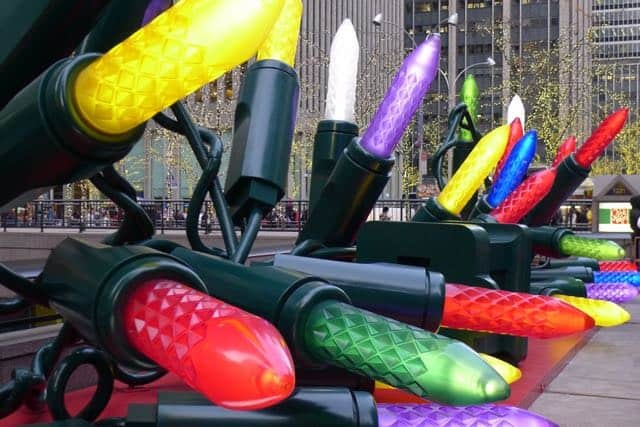 Still using old-fashioned lights? Each time one burns out, replace it with an LED (light-emitting diode bulb) for a whopping 95% energy saving. And they last longer. And if you must illuminate both the penguin and the igloo, then make sure you use LEDs. 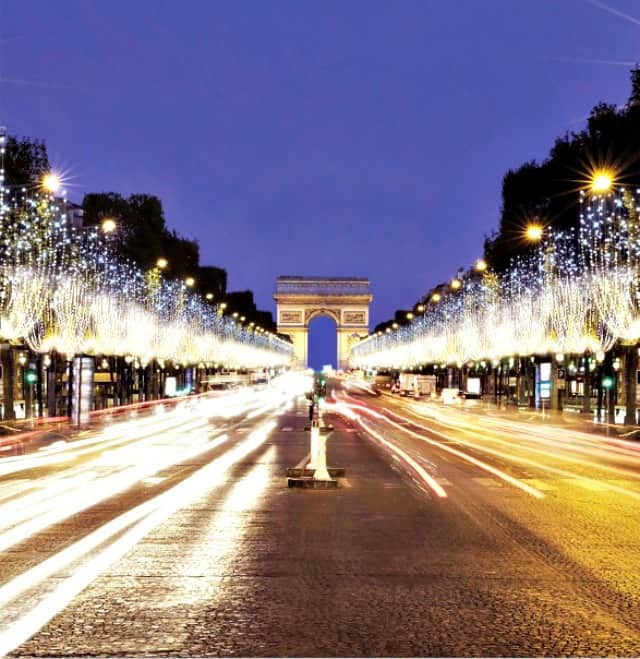 If the ‘City of Lights’ can do it, so can you. All you have to do is cut back a little bit each year. Then there’s the tree. Once it has served its purpose, take it to an appropriate recycling center – and don’t forget to snip off a few branches to make garlands and wreaths. Here’s a sample of what happens to your recycled trees: trees contain important nutrients that can be used in compost; they can be turned into mulch for hiking trails; they can be used to make sand and erect erosion barriers along the shore; and they can be used to build fish shelters in ponds and provide fish habitat along rivers and lakes. Grandma may need her Christmas cards to pop out of an envelope but do you? Could you substitute e-cards for your nearest and dearest? Americans buy 2.65 billion cards each Christmas, and in the UK one billion cards are thrown out each year. According to Canada Post, it takes 575 daily flights, 6,000 postal vehicles and an extra 150 highway service vehicles to deliver each season’s nearly 800 million cards, letters and packages. And that’s just Canada. Send one fewer card each year and you’ll save 50,000 cubic yards (38,000 cubic meters) of paper. When you’re tired of looking at the cards you’ve received, cut them up and turn them into next year’s name tags. All you need are scissors, a holepunch and thread. Those branches you snipped for future garlands? 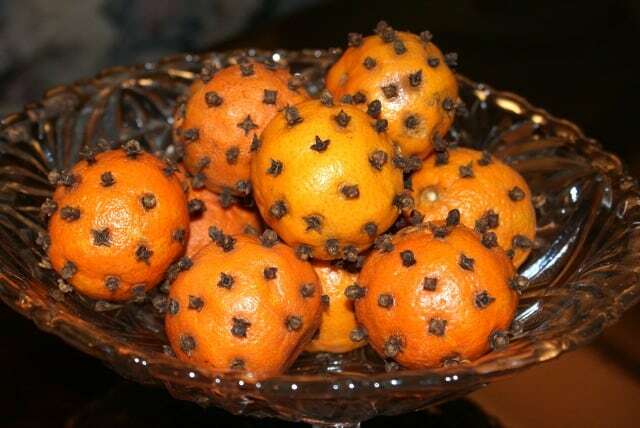 Decorate them with pine cones, sprigs of rosemary and thyme, cranberries and popcorn, holly and mistletoe. If you’re not the wreath type, use these as a table centerpiece throughout the season. Use wood, cotton, wool and everything else our ancestors had at hand. Look around your closet and around your garden. We may have lost some ability to be creative but like a muscle, it can be exercised and rediscovered. 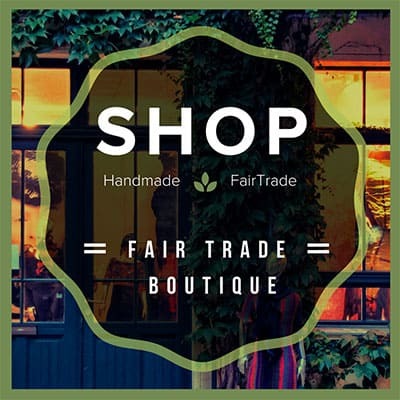 If all this making, recycling and trading sounds too complicated and inefficient just remember: anything manufactured will cost money and use up valuable natural resources during processing and shipping, not to mention polluting with bleach, chemical dyes or dumping. If Christmas is about giving, and it is for me, there are many intangibles worth more than anything wrapped in a bow. I remember in my early reporting days a gruff old editor, the kind they don’t make anymore, would host a Waifs and Strays party for those of us on our own or on duty during the holiday season. It was always a magical party, a bunch of otherwise cynical reporters sitting around a tree mouthing off-key Christmas carols to a scratchy record playing in the kitchen. The dim lights would hide our increasingly moist eyes. We exchanged a single gift with someone whose name we picked from a hat. One year I ended up with lime green fluffy dice for my car rear-view mirror; I didn’t have a car but I displayed the dice proudly on my cork board at the office until someone walked off with them. The smell of baked ham – it was always baked ham – drifted from the stove and to this day whenever someone bakes a ham I’m transformed into a waif or a stray, my heart warm at the memory of how Christmas doesn’t have to mean alone. Leyla Giray Alyanak is a journalist with years of experience in newspapers and broadcast news. She has been Chief of Media for WWF International and a consultant for a number of environmental organizations, including the World Conservation Union, the EU’s Environment Directorate and the UN Environment Programme. At age 43 she backpacked solo across Africa as Chief Correspondent for The Earth Times, one of the premiere environmental newspapers of the 1990s. Leyla now works for an international development agency and manages Women on the Road, a website that empowers women to travel solo. 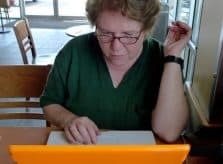 She recently wrote a book on solo travel for women over the age of 45 and is currently writing her second, a memoir on her time as a correspondent in pre-Internet Africa. Follow her on Facebook, Twitter and Pinterest. GLOBAL CULTURE: History Of Santa Around The World! 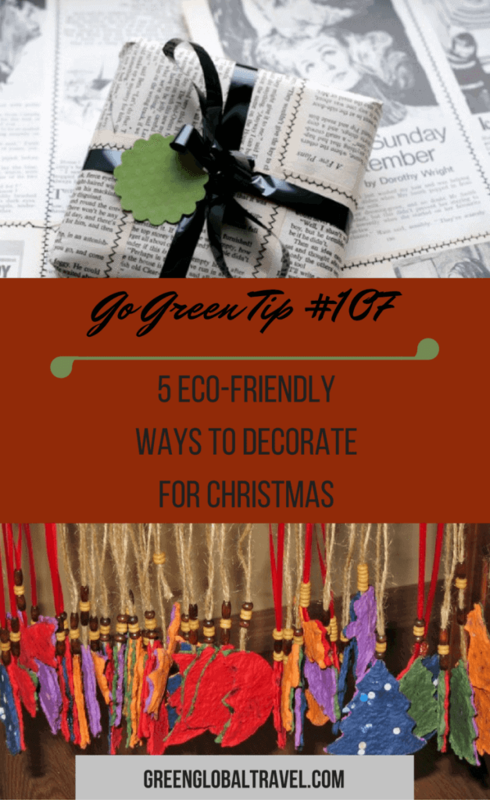 GO GREEN TIP #39: Real Vs Fake Tree – Which Is More Eco-Friendly?